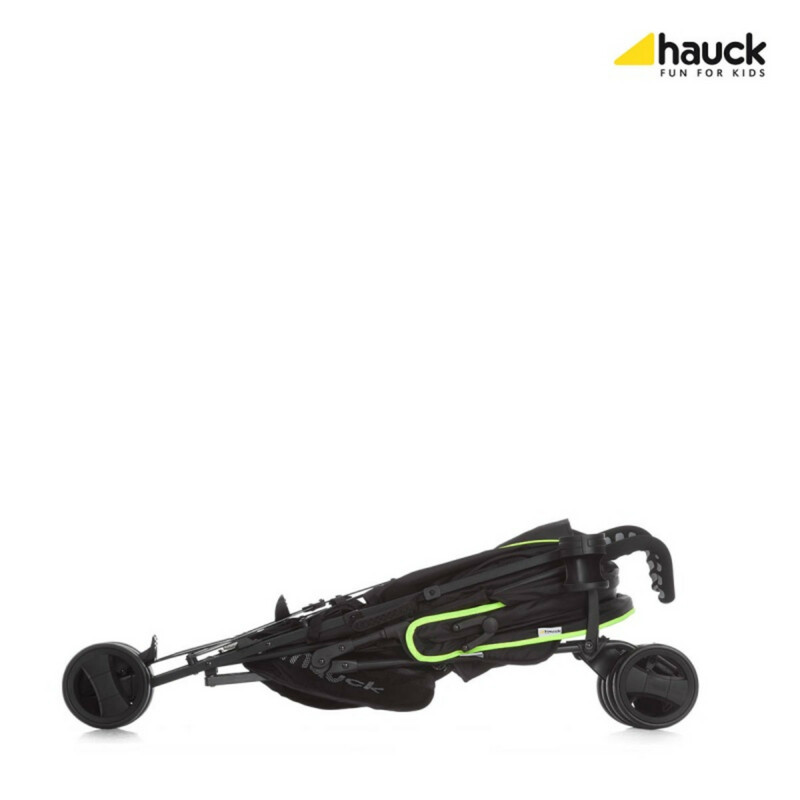 The Speed Plus pushchair from Hauck is designed for your convenience. 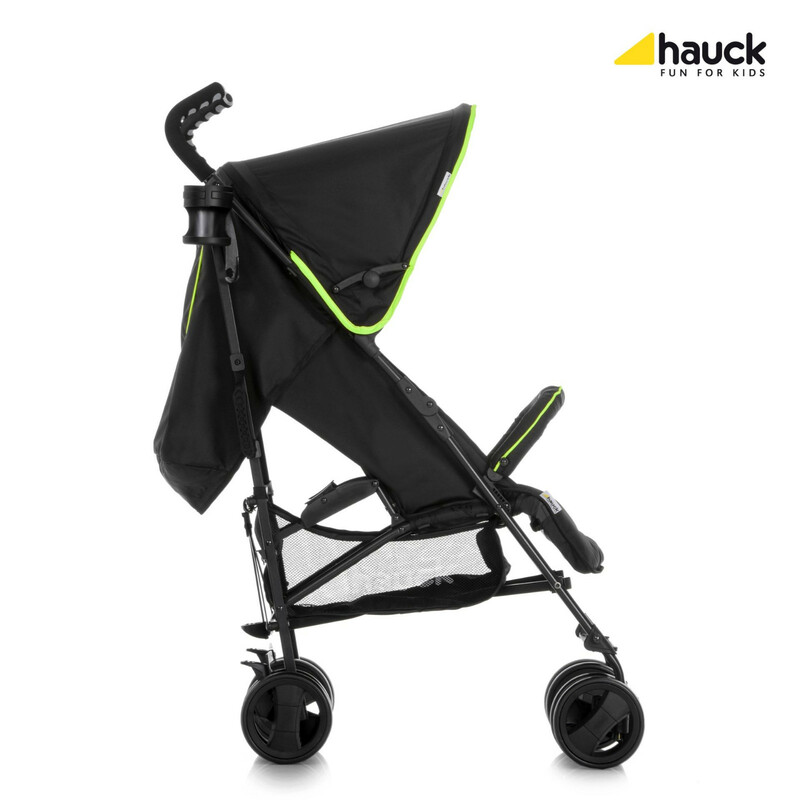 As a lightweight stroller with integrated suspension and front (lockable) swivel wheels, the Speed Plus is an incredibly agile and manoeuvrable little buggy. Perfect for impromptu shopping trips or running errands, the pushchair folds down to a compact size both quickly and easily. 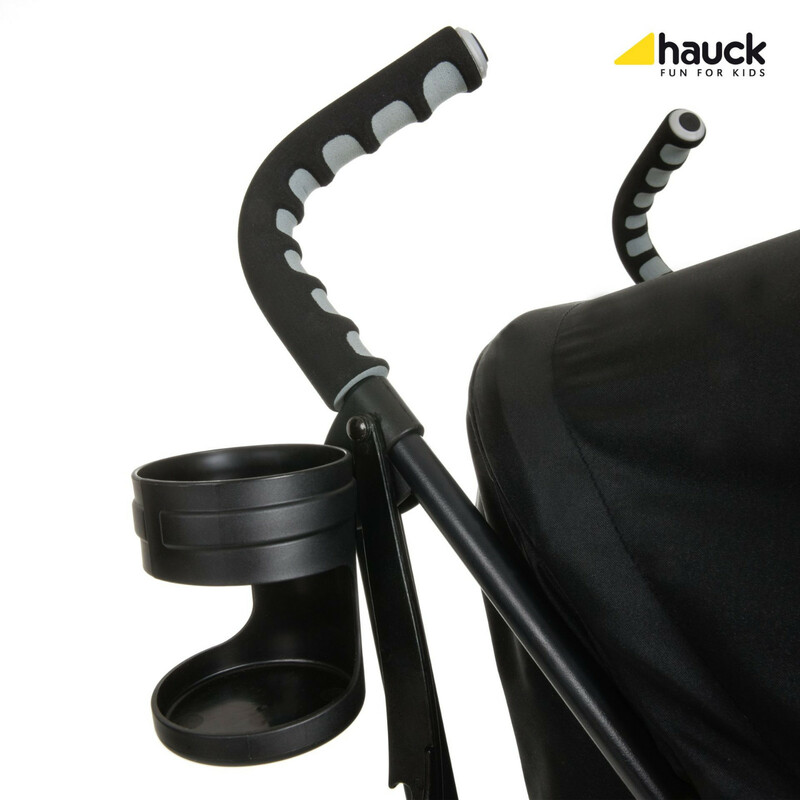 Keep refreshments close at hand with the handy bottle holder and any purchases or baby utensils can be stored safely in the shopping basket underneath. 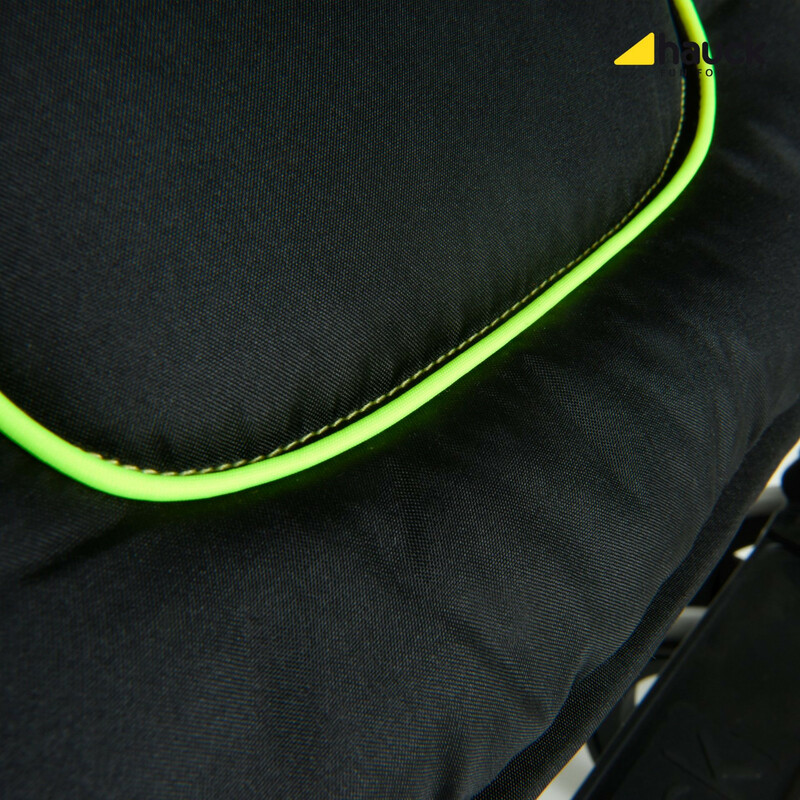 The padded seat unit provides your child with high levels of ride comfort and thanks to the 5 point harness (with pads), front bumper bar and parking brake, your child is kept safe at all times. A raincover is also included for your parental convenience.